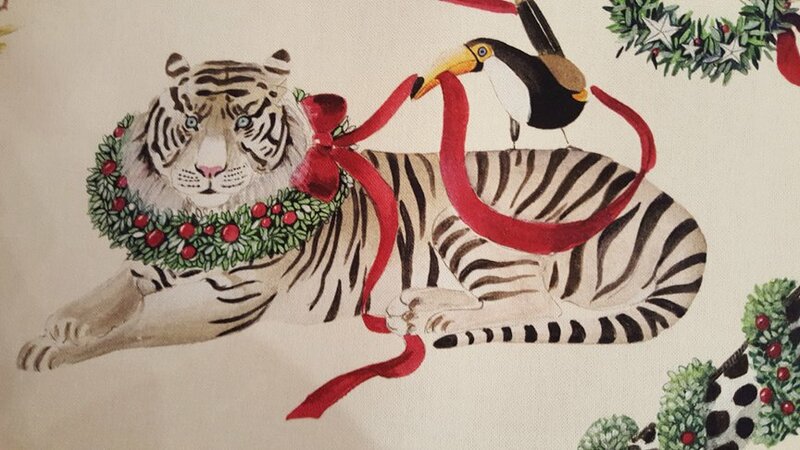 Straight from France, this fabric is the coolest Christmas fabric we have ever seen with tigers, giraffes, lemurs, flamingos, etc. The fabric is a medium weight suitable for draperies, tablecloths, aprons, or pillows. 100% cotton fabric is approximately 54" wide. Third photo shows full width of fabric.